This card has loads of dimension. 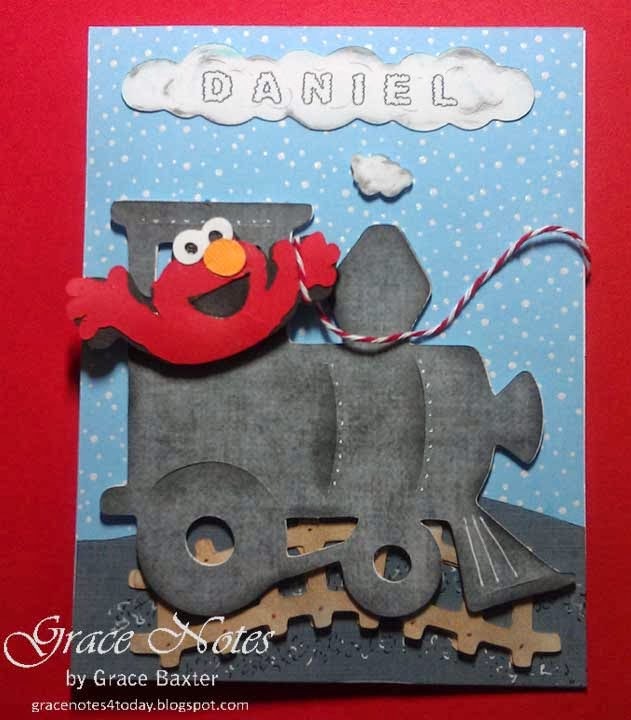 My little grandson LOVES the Muppets, and he's crazy about trains. So this card should make him happy. Gravel under the track is made with black and white gel pens, drawing squiggles and dots to resemble stone. The track is cut twice, and 'popped' on the bottom. The train is shadowed and highlighted with black and white ink. Grover is cut from Sesame Street Seasons. He wasn't my favorite character to use, but his arms were in the perfect position to be waving out the window of the train. I found the cutest cloud font. First I cut the long cloud and the small puff of steam. Then I inked them in gray and light blue. In Word, I typed the name and printed out a test sheet. Comparing the cloud piece to the text, I could tell it would fit perfectly. Then I used my secret method of getting the name onto the cloud. The graphic inside took quite awhile to make. I designed it in PhotoShop, printed it on cardstock, and trimmed it to a size I liked. The graphic was done a week before I even knew how I was going to use it. The fun part was tying the balloon to Elmo's hand. 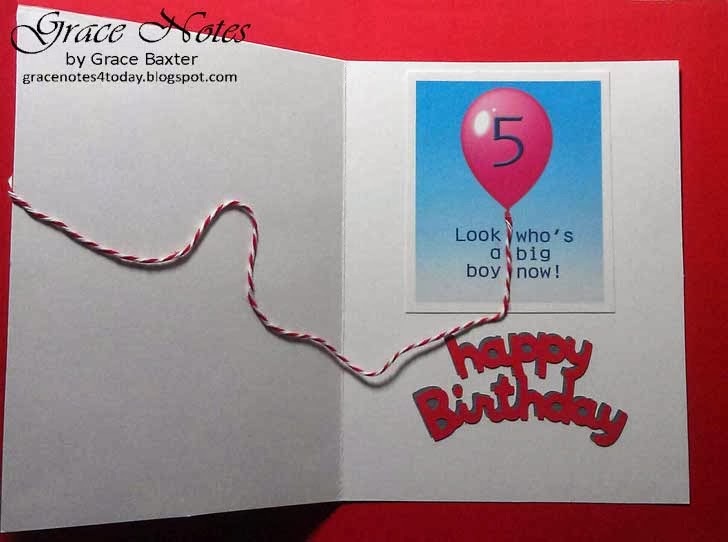 'Happy Birthday' phrase is from Create A Critter. I think little Daniel will like his birthday card.